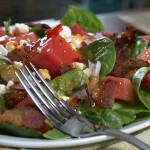 Spinach Watermelon Salad - What the Forks for Dinner? 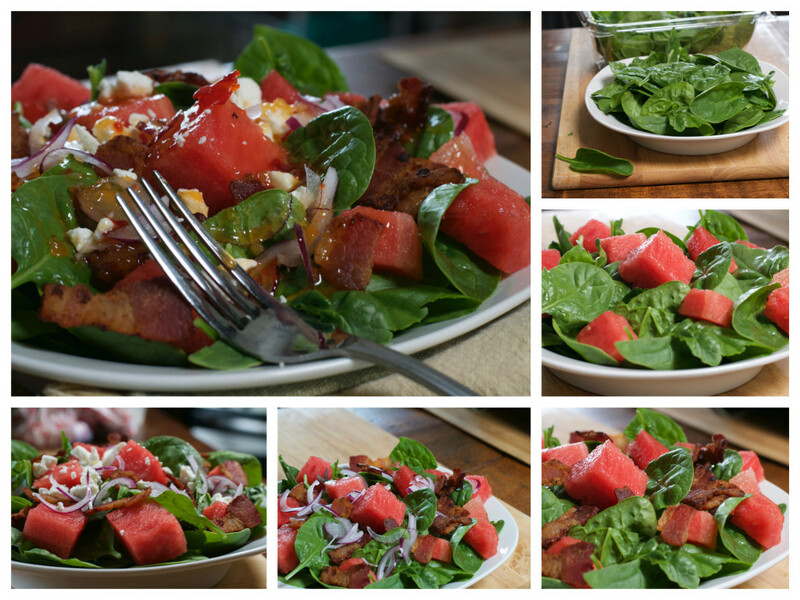 When you make something that is so mouthwateringly good….you just can’t wait to share it…….Spinach Watermelon Salad. 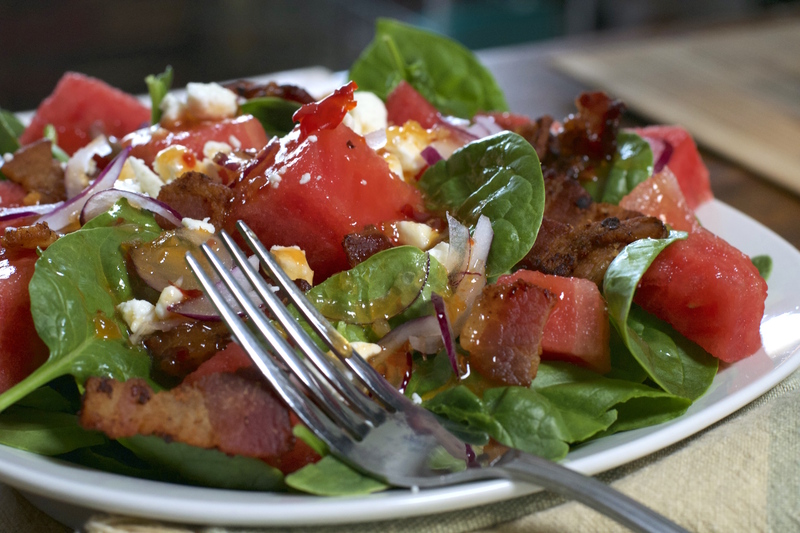 This salad is brimming with sweet watermelon, bacon, red onion and feta. Topped with a slightly spicy dressing made from Asian sweet chili sauce, lime juice, and a touch of oil. Quick, easy, and loaded with flavor……a perfect summer lunch. Tim says it’s “Forking” good!!! In a small bowl whisk together chili sauce, lime juice, and oil, set aside. On a salad place layer spinach, watermelon, bacon, red onion, and feta.